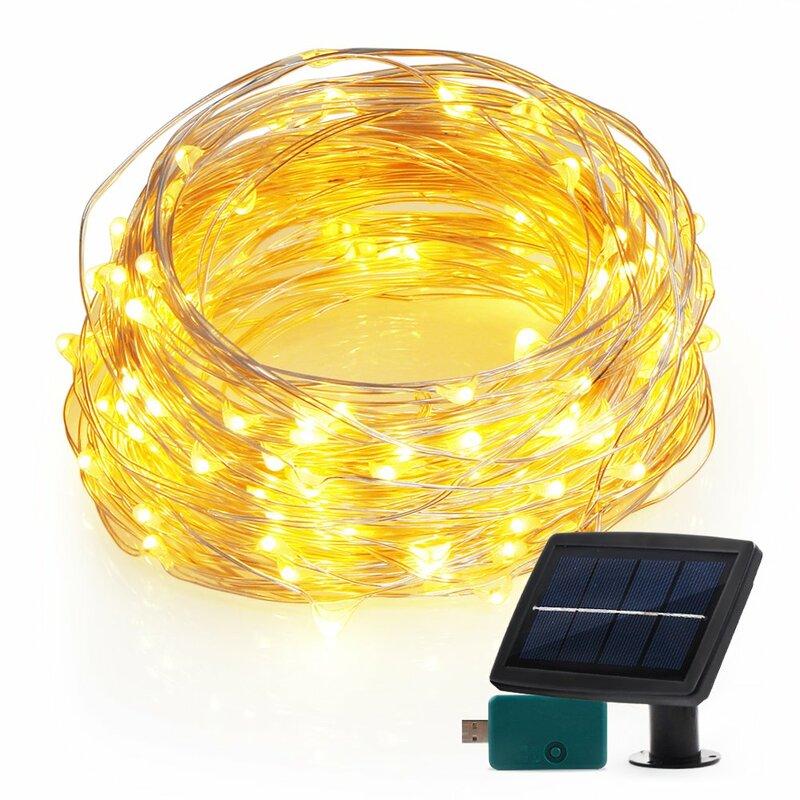 72 Ft flexible copper wire, 150 bright led. Great Christmas Gift Idea, setting up a little fairy garden outside your kid's bedroom window to play with their imagination and creativity. 2 ways of power supply: Connect USB port to PC or Adapter for indoor use. Connect to waterproof solar panel for outdoor use. Compared to the old version panel with 1200mAh capacity, the upgraded is much bigger with larger capacity 1800mAh. It is angle-adjustable for optimum sunshine exposure. 2 optional installations: Unlike the old version that can only be sticked into the ground, the upgraded one can be either sticked into the ground or mounted onto the wall; The spike is longer and sturdier as well.